Merton Libraries has congratulated customers who successfully completed this year’s Six Book Challenge. 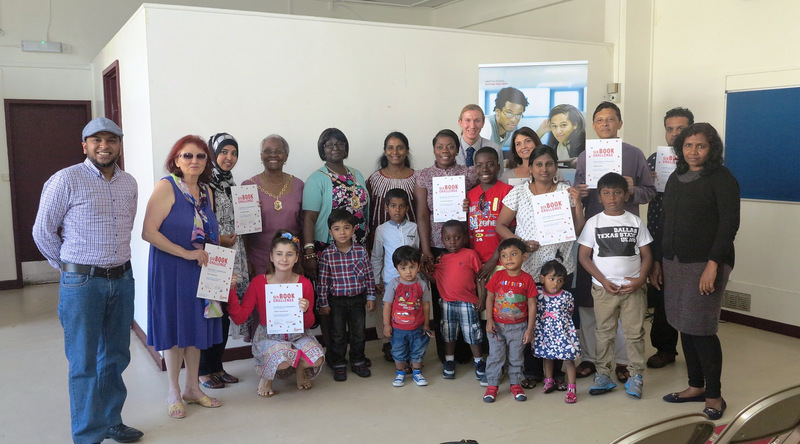 A special award ceremony was held in Mitcham Library where successful participants of Merton’s Six Book Challenge 2014 were awarded with certificates by the Mayor of Merton Councillor Agatha Akyigyina. The event acknowledged the achievements of all but in particular those who completed the challenge. All of the 109 participants who took part in Merton’s Six Book Challenge this year regularly visited the library to take part and develop their English reading skills. Aimed at improving literacy skills, residents over the age of 16 can take part in the challenge by registering at one of Merton’s seven libraries and reading six books. Anyone that wants to sign up to the next challenge, starting in January 2015, can do so by visiting their local library. Photos of the awards ceremony can be viewed on Merton Council’s Flickr page. To find out more about Merton Libraries, visit www.merton.gov.uk/libraires.